New York (February 19, 2019) — The much-anticipated annual global consumer report, conducted each year by iVend Retail, was released this week. 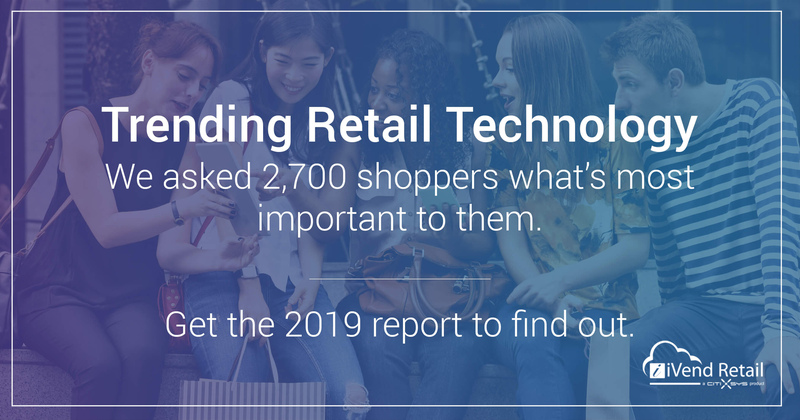 The 2019 Global Shopping Trends: Essential Insights for Retailers survey report includes compelling industry insights from shoppers worldwide, including an analysis of variances across technology platforms, countries, and age groups. Overall, the report revealed a heavy reliance on mobile devices, both for researching products and purchasing. Well over three-quarters of shoppers (83.8%) want store associates to carry handheld mobile or tablet devices to process payments, look up inventory, and make product recommendations. These same shoppers are using personal smartphones to research products while in a store (86.2%) or to browse online before going into a store to make a purchase (92.9%). Streamlined checkout processes and loyalty programs emerged as big trends this year as well. Quick and easy checkouts surfaced as the most important part of a shopping experience for a staggering 83% of shoppers while 91.9% make purchases with the aim of earning loyalty rewards. 44.4% of global shoppers are motivated to shop with a retailer offering self-checkouts. Click and collect/buy online pickup in store (BOPIS) experienced an increase in adoption of 30% over last year. The main motivators for the shopping trend were saving money on shipping charges (47.4%) and saving time (44.4%). 79.7% report responding to social media and online ads. 70% respond to digital offers delivered to their phones while in or near a store. 62.9% prefer email communications from retailers. iVend Retail conducted an online survey with research firm AYTM from December 2018 to January 2019 of 2,750 respondents around the world with 250 respondents each from Australia, Canada, Colombia, Indonesia, Mexico, Philippines, Russia, South Africa, Turkey, United Kingdom (UK), and United States of America (USA). Survey respondents included both males and females, ages 18+. Download a free copy of the 2019 Global Shopping Trends: Essential Insights for Retailers. iVend Retail by CitiXsys is a global provider of integrated omnichannel solutions for retail and hospitality chains. Our software solutions integrate vital systems to produce a flawless ecosystem where data flows instantly and freely, with minimal IT investment. Designed to provide exceptional customer experiences throughout the entire shopper and dining journey, iVend Retail solutions for point of sale, loyalty, eCommerce, digital passes, mobility and analytics will increase revenue, improve customer retention, and bring in new business, all while lowering your operating costs. Our suite of solutions is available through a worldwide distribution network of certified partners. For more information about iVend Retail, www.ivend.com or email us at contact@citixsys.com.